Cambridge Blue Punting offers wonderful Punting tours along The Backs. Imagine the tranquil experience of sitting back in a punt guided up the river by one of our professionals. Early evening as the sun goes down, this is simply a lovely thing to do. 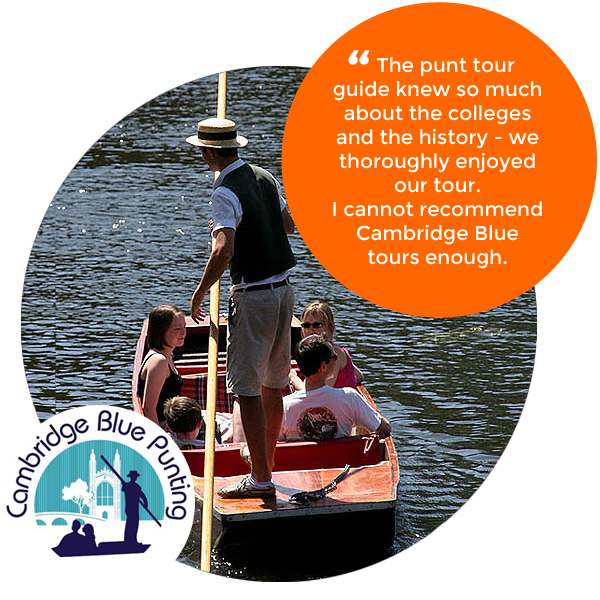 Cambridge Blue Punting offers a shared punting tour in small or large punts. 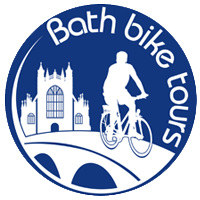 These tours are offered within our bike & punt package but we can arrange standalone tours for your group – just get in touch. We set off from Trinity College and pass 7 colleges and 8 of their bridges including the bridge of Sighs at St. Johns College. We see the Wren library at Trinity College, Clare Bridge, The Silent Bridge, Kings College Chapel and The Wooden Bridge at Queens College, which people incorrectly refer to as The Mathematical Bridge. We’ve got some cracking stories of student pranks and life at The University. We can arrange private punting tours for individuals, couples or groups -just get in touch and we can arrange details and give you a price. Private tours depart from Trinity College. Our large punts depart from Mill Lane or the Quayside by arrangement.